Amma Asante is a UK director on the rise with three highly-praised feature film to her name. The former child actress left acting to pursue filmmaking, and got her start producing for TV, including the BBC drama, Brothers and Sisters. Her first feature, A Way of Life, starring Stephanie James and Brenda Blethyn, earned several awards, including debut director. Her sophomore film, Belle, came a decade later and was a sleeper hit for Asante and breakout star Gugu Mbatha-Raw. 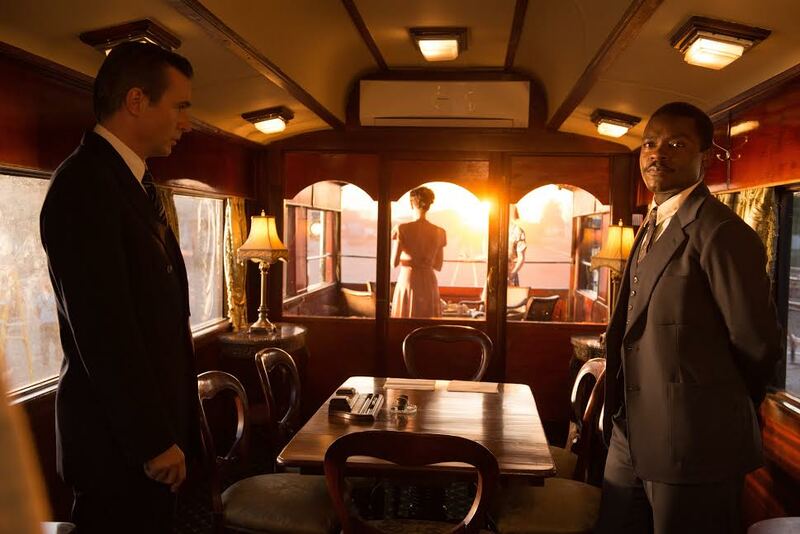 Like Belle, her new film A United Kingdom is a historical drama based on a true story, this time focused on the marriage of Botswana’s Seretse Khama, a black man, to white Englishwoman Ruth Williams. Starring David Oyelowo and Rosamund Pike, Asante’s new film brilliantly blends a cinematic love story with historical and political ideas still proving to be relevant in today’s society. 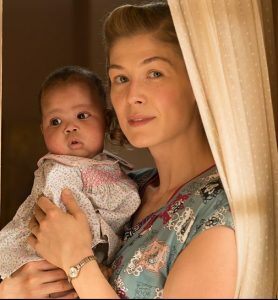 FF2 Media Contributor Lesley Coffin spoke to Asante about working once again with David Oyelowo, the role women played in this post-WWII story and embracing the opportunity to mentor new filmmakers. Lesley Coffin: When did you make the decision to have up-and-coming directors shadow you on film sets? Had that been an opportunity offered to you when starting out as a director? Amma Asante: I hadn’t been given the opportunity to shadow anyone when starting out. But what I always try to do is, if I have a friend making a film, I ask if I can spend even one day on set with them. And I plan to continue doing that because we as directors never get to see how others work. And it’s quite helpful, not to imitate them but to confirm the way you work. I got into mentoring new directors because I was lucky enough to be honored by Gloria Steinem, through her organization Women in Media. And their mantra is, “each one teach one.” And the whole idea is to use that award to help women help each other. And that is such a great belief system to have, because as a female director and particularly as a black female director, I know how privileged I’ve been to succeed in this profession. It shouldn’t be a privilege, but we know it is. Throughout my life I want to hold onto those feelings of gratitude, so I decided for every project, I’ll offer that opportunity to another woman. 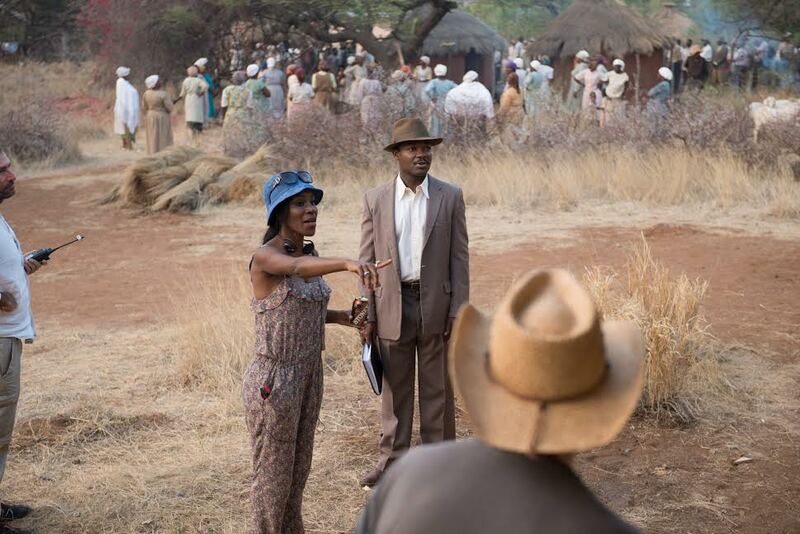 A United Kingdom was the next film I made, I was sent a load of CVs, planning just to pick one young woman from the UK and one in Botswana. For the film I just made, I had four aspiring directors, two from LA, one from Uganda, and the fourth from London. I advertised that opportunity on Twitter and my website, and put in a very stringent process for vetting the CVs. I wanted to bypass nepotism, so the opportunity was specifically for women who wouldn’t have this an opportunity in their lives otherwise. It wasn’t talented based, it was about their commitment to having their stories told. They needed two references from senior people in the community, could be teachers, church leaders, community leaders. Anyone that could vouched for their sincere commitment to get their stories told. I was supposed to pick two, but there were so many brilliant and talented women, I had to pick four. Lesley Coffin: You gave David his first professional job [on Brothers and Sisters] and now he’s bringing projects to you. What did you initially notice about him as an actor? Amma Asante: It was a beautiful circle but we, as people of color, rise into positions of authority we are given more and more opportunities to give and take opportunities to other people of color. When I was growing up, there weren’t enough people of color in power to offer these opportunities. Those opportunities were given by other people. And even when doing the BBC series with David, I didn’t have ultimate authority to cast him. There weren’t stars from the UK who had reached that level of stardom in the US who could get this project made. There has been some progress, certainly not enough, but David has risen to a level of recognition and is using that to create more opportunities for many people, including myself. As for what I saw in him when we first met was this incredible power. I love actors with a quiet dignity, so even if they have to lose it on screen or show unexpected vulnerability, there’s an intangible quality that makes you keep watching rather than look away. David has that, he intrigues you and makes you want to know his character’s story. And he makes you connect to his story, even if you’ve never been in his shoes. Lesley Coffin: And that’s on display in his big emotional speech, which happens in the middle of the film. I know there were a lot of rewrites leading up to it, but day of, was it performed exactly as written? And what David and I spoke about was conveying that this was a story asking “What is the nature of a leader,” the same way I asked in Belle, “What is a gentleman?” What does it mean to be gentleman? Is it just status and wealth, or is it treating people with humanity and dignity? And the same way, are leaders people who simply want to rule and control his people, or is a leader someone in service to his people? If you are in service to your people you must abide by their will, so that speech really needed to express all those ideas. And because David needed to concentrate on performance, he couldn’t be changing the dialogue the day of or improvising. It had to be nailed down, so he could just focus on giving a powerful performance the day of. Lesley Coffin: One thing you don’t address overtly in the film but keep in the background is, while all the men in the film are making these decisions about how they want to live, the women are cut off. They aren’t at the vote in Botswana, they aren’t allowed into diplomatic offices in London. Was it difficult to negotiate how to frame these two examples of historical inequality without one taking away from the other? Amma Asante: What was really important for me was to not lie about that reality. The sad truth is, women did not have a political say in how the world unfolded at that time. But they certainly had a political stake and personal-political agency. In reality, women weren’t allowed to attend that meeting where he gave that speech, but that doesn’t mean what he said and how the men voted wasn’t important to them. So what we did was change that event. In reality those speeches happened over many days among a much smaller group of men. We made it an epic, one day event. And in context of that epicness, the women were on the edges. They couldn’t really be there, but the different truth is, that doesn’t mean they weren’t interested in knowing what happened. And to give the women agency, how they understood what it meant for Ruth, from the very country that had colonized them, to come to be their queen. Not because she’d forced herself into a position of power, but because he brought her there. It really was painful for those women. The original script didn’t given the women their voice to express that pain, because the focus was on politics with a big P not a little, personal p. I knew we needed to acknowledge how these women think and feel. And we needed them to speak, we needed them to have the dialogue with Ruth and say what they believe with force. But the black African women in this story have another kind of agency. It is in there gift to accept Ruth. She could have stayed as long as she liked, but it is them who validate and accept her that allows Ruth to truly fly. I wanted that power to be in their hands, her fitting into the world. They only have a few scenes, but they have power. It’s when his sister says “we have to take care of her” that things really start to change for her. That doesn’t take away her personal power, because Ruth is strong and courageous, despite being rejected by the white and black people in Africa. She told him, “I can’t do this on my own” but that’s the one thing she does. Lesley Coffin: I noticed that every time you had a scene in Alistair’s (Jack Davenport) office, you included the framed picture of his wife, played by David’s wife Jessica, prominently in the scene. I had my own interpretation, but was there are specific reason you did that? Amma Asante: It certainly was intentional. I did it as a subtle reminder that, sometimes we infantilize women and take away their power. But as we all know, power comes in the positive or negative. And where we can go wrong with representation is when we only show one type of representation of a gender or race. There were enough “good women” in the film, we had room to have a woman like that who was there to remind us, power sometimes comes through women “behind the men.” And the power isn’t always used positively. She’s there in the background, but she too has agency and has a power, that she chooses to use in the negative. We have a choice as women, and historical films like this can remind us how far we’ve come and how far we still need to go. But they also give us an opportunity to consider the type of person we want to emulate. As women who may attain power, what do we want to do with it. What are our choices regarding using that power responsibly and how do we contribute. When we have agency, how do we contribute to the world at large. When one woman puts down another woman, we’re putting down ourselves.